Woo Lee Jeeb is a family business managed by Xiang Hua. At a tender age, she picked up cooking skills from her mother who is of Korean descent, and with more than 30 years of experience in operating food courts and restaurants in Singapore, Korea and China. To maintain her love for cooking, she opened a stall in Tanjong Pagar but decided after that she wanted to serve this cuisine at various Food Republic outlets instead to reach out to more people. To perfect her dishes, she even made a trip to Korea to learn more about seasonings and the intricate methods of cooking Korean food. 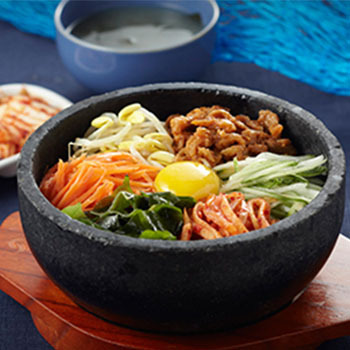 The stall specializes in Bibimbap, Ginseng Chicken Soup, Bulgogi and Kimchi Ramen. The Bulgogi comes with a choice of pork, chicken or beef and customer can even ask for a mix of two meats.